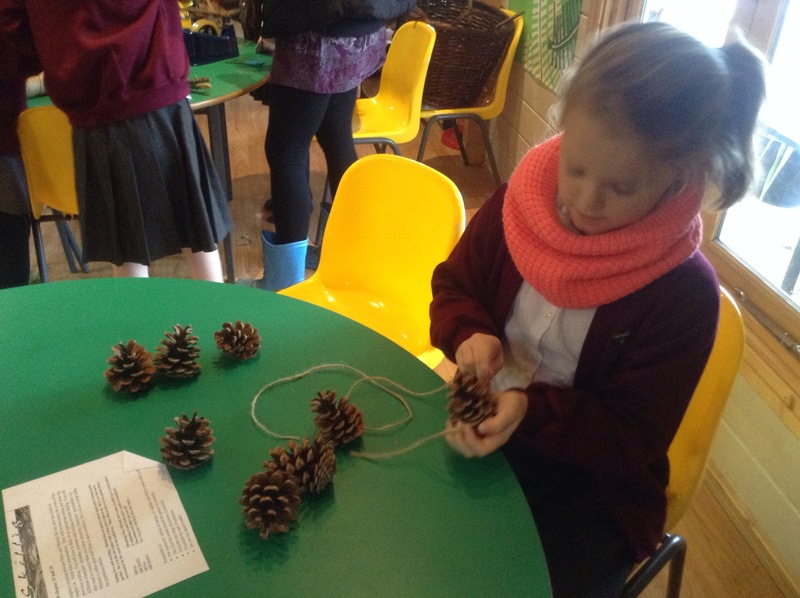 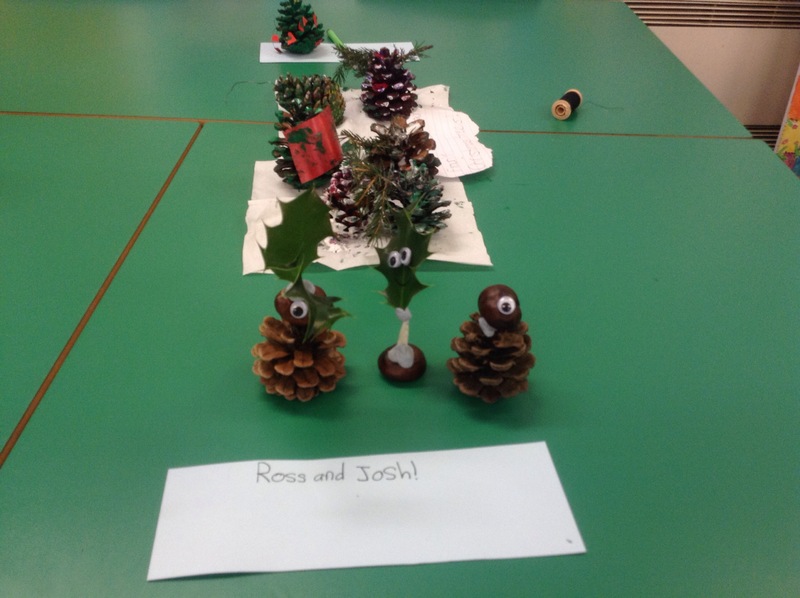 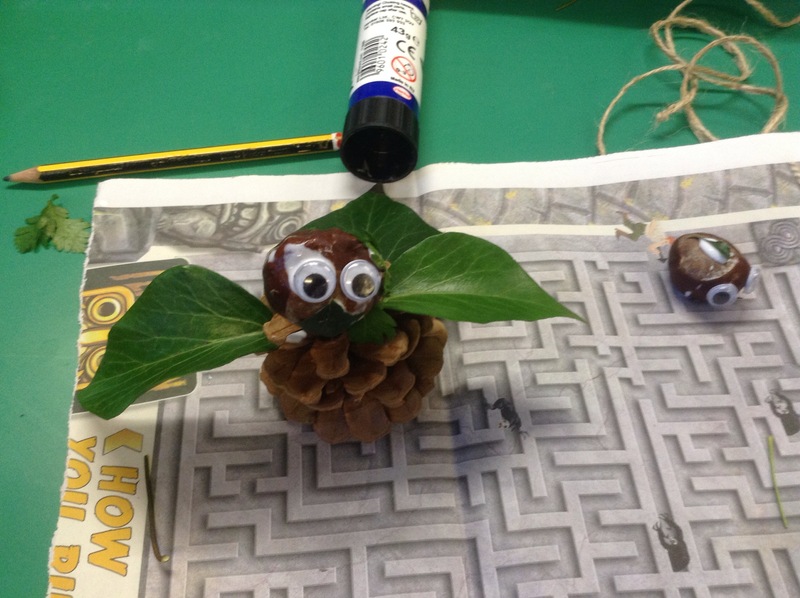 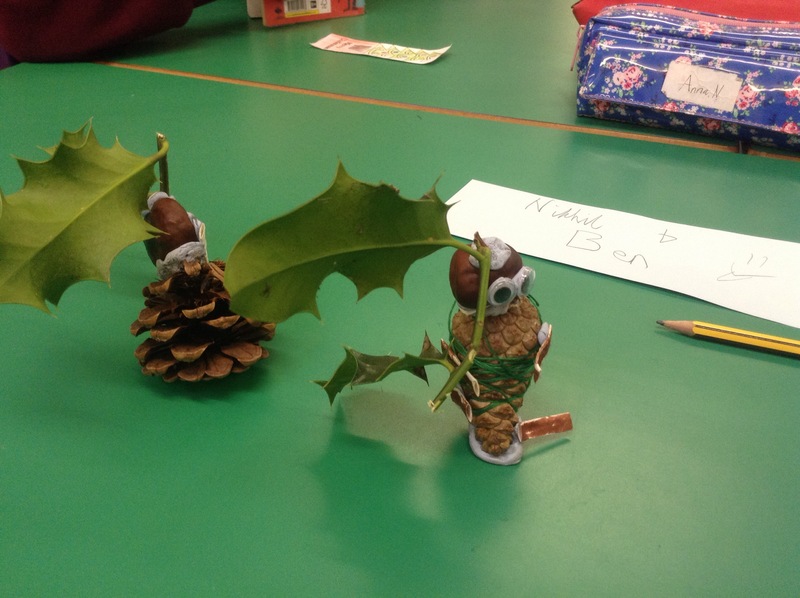 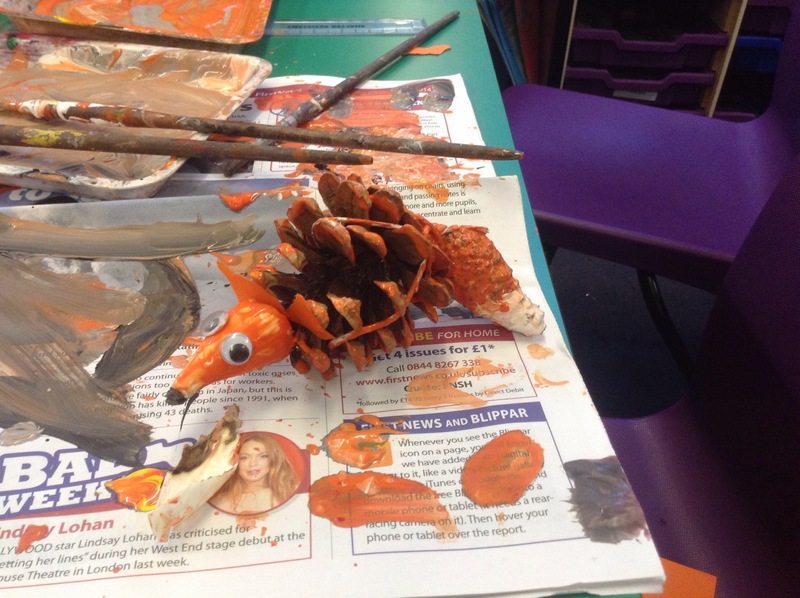 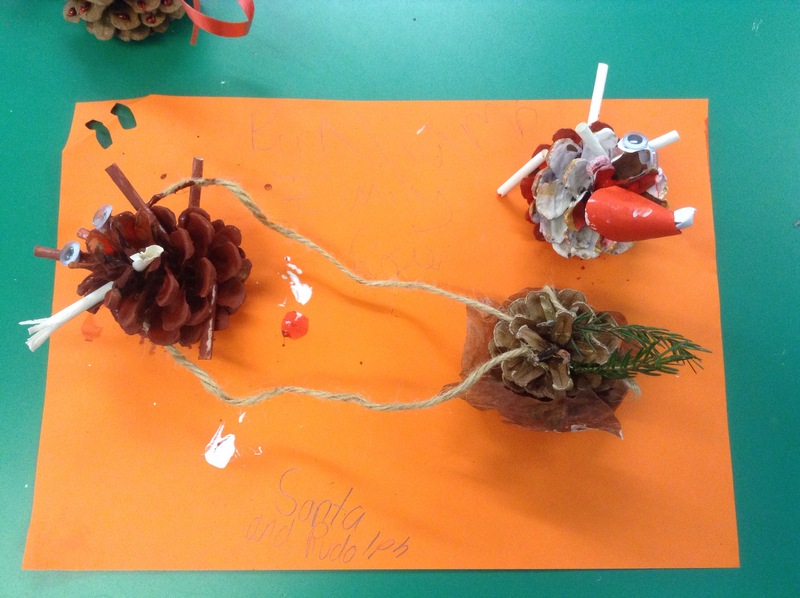 The children were given the challenge to use their imaginations and make their pine cone into a Christmas character or decoration. 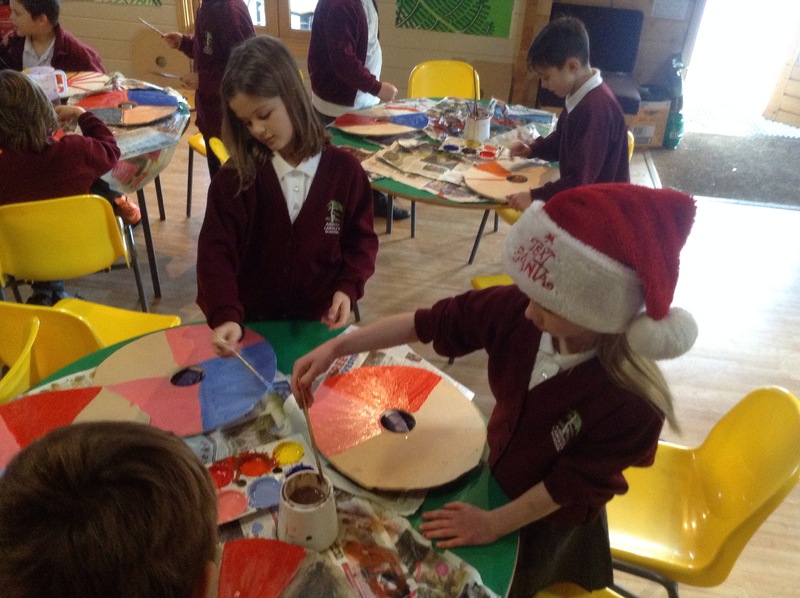 The shields are looking good. 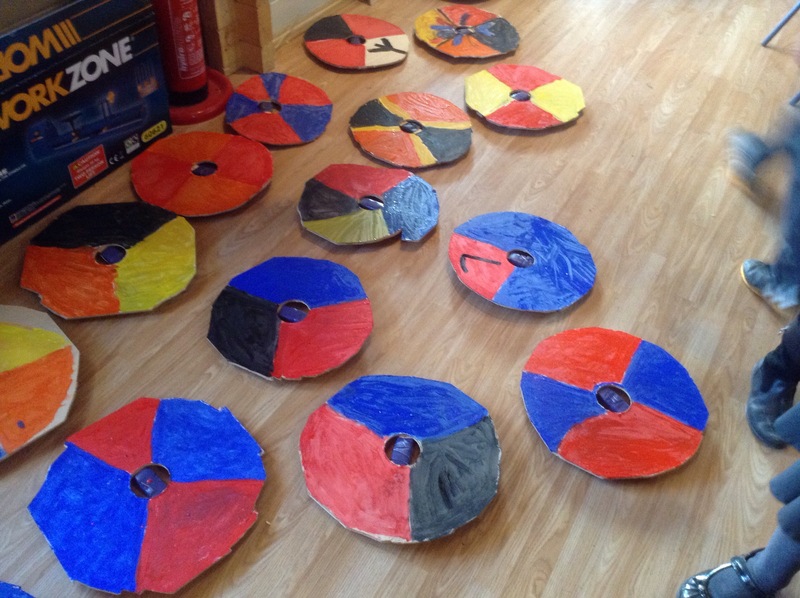 Nearly ready for our Viking invasion. 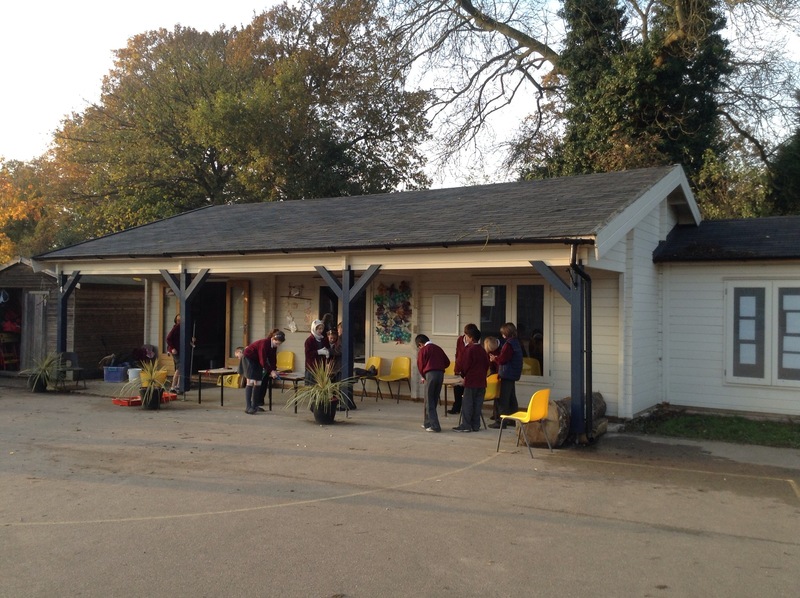 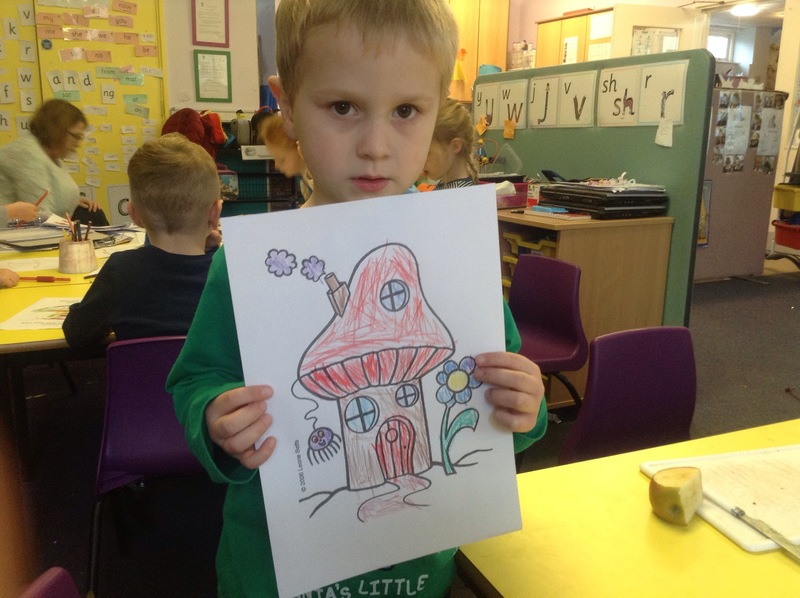 The children looked at some pictures of different types of fungi and then went on a walk to see if we could find any in our school grounds. 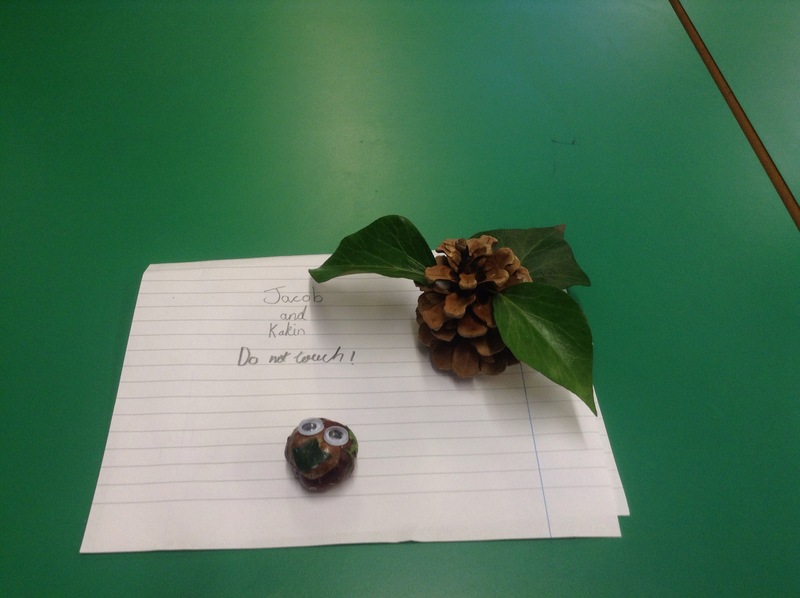 We discovered some candle snuff and shaggy ink caps in the garden and the children noticed that it grew in wet and damp places. 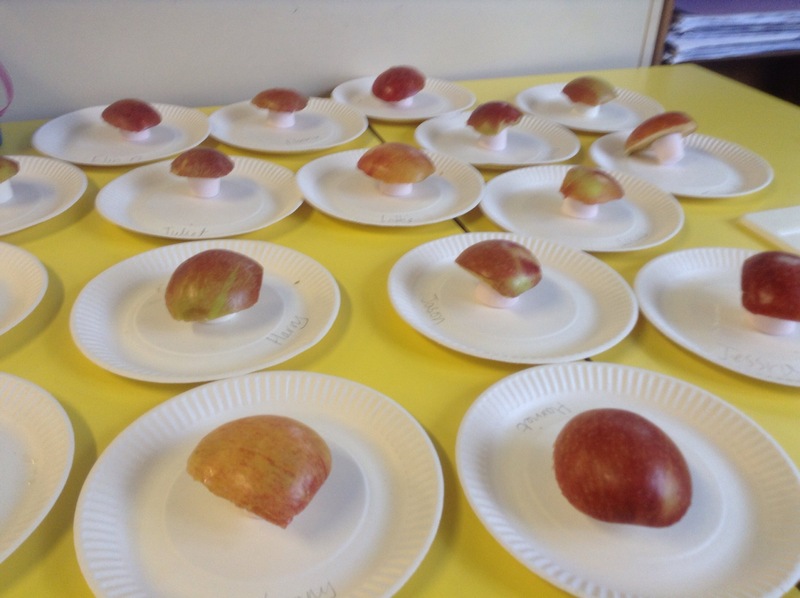 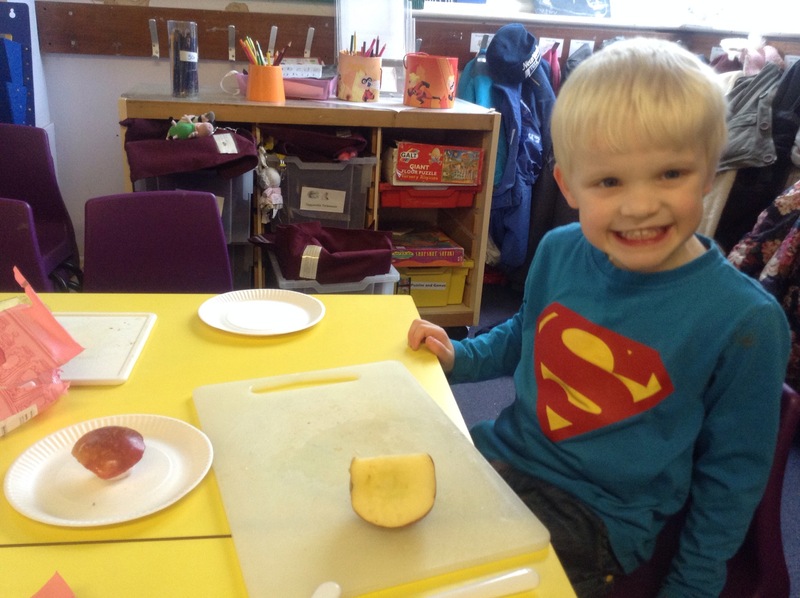 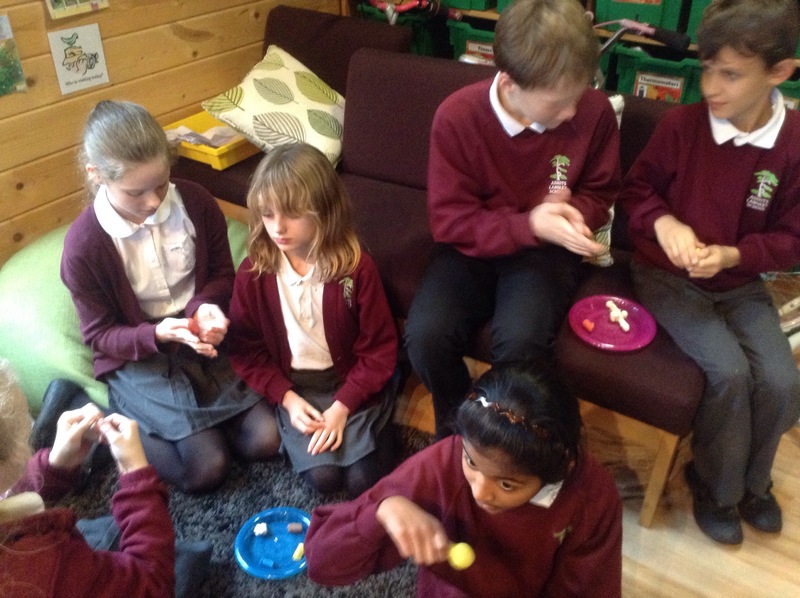 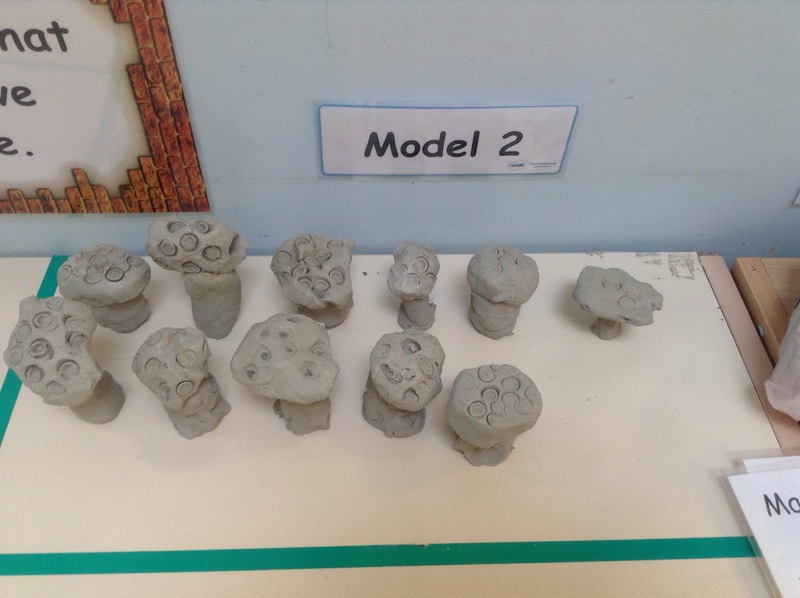 When we got back to class we had fun making model toadstools out of clay and edible toadstools out of apples and marshmallows. 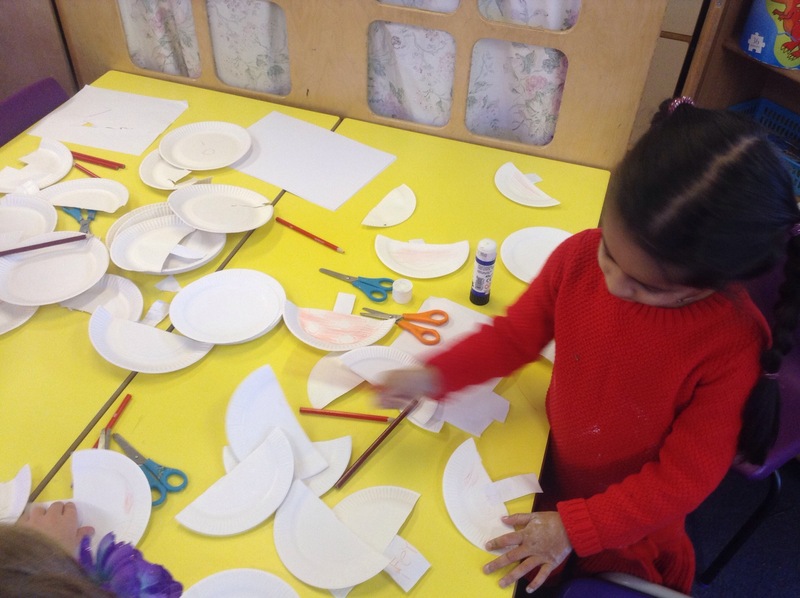 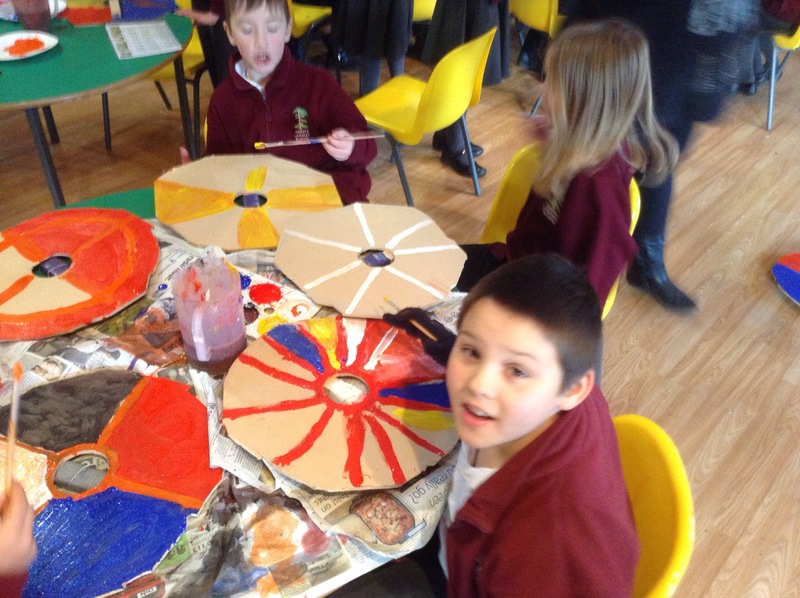 The children also drew some fabulous pictures and made toadstools out of paper plates. 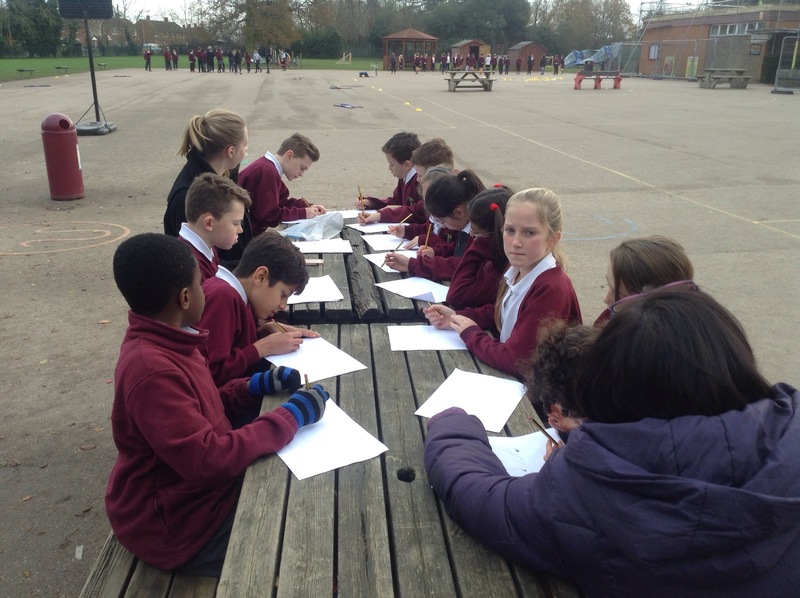 Those of us not on the river trip stayed at school to complete activities investigating the River Amazon. 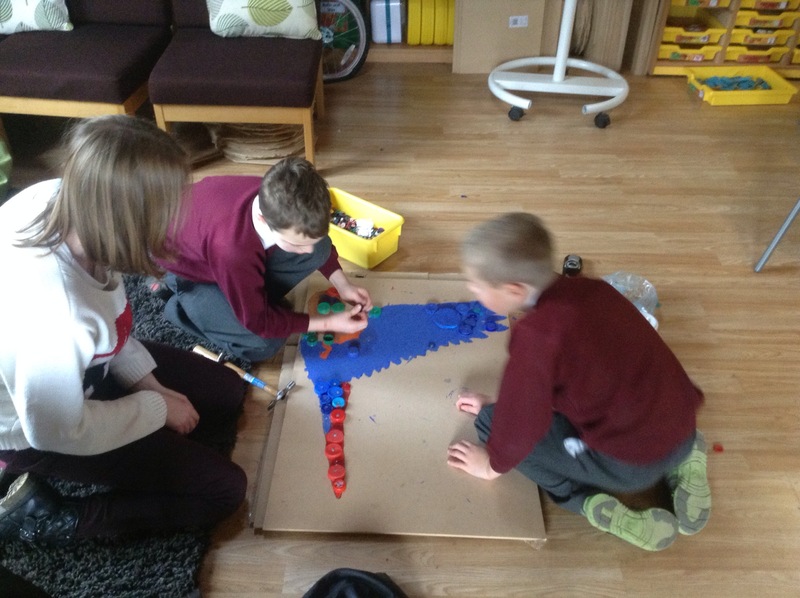 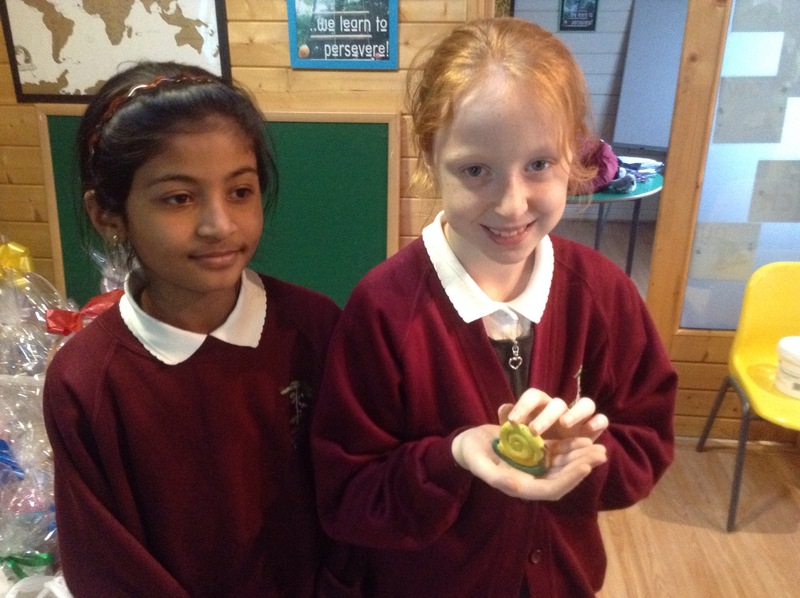 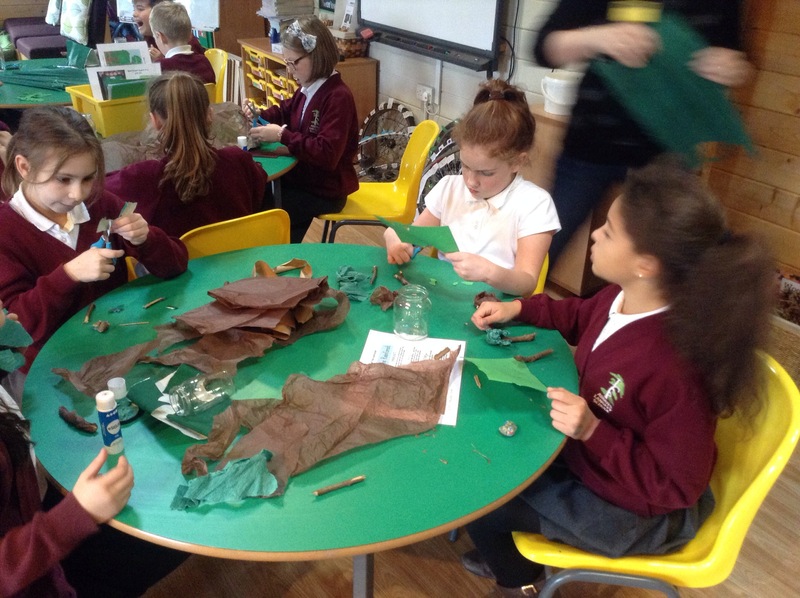 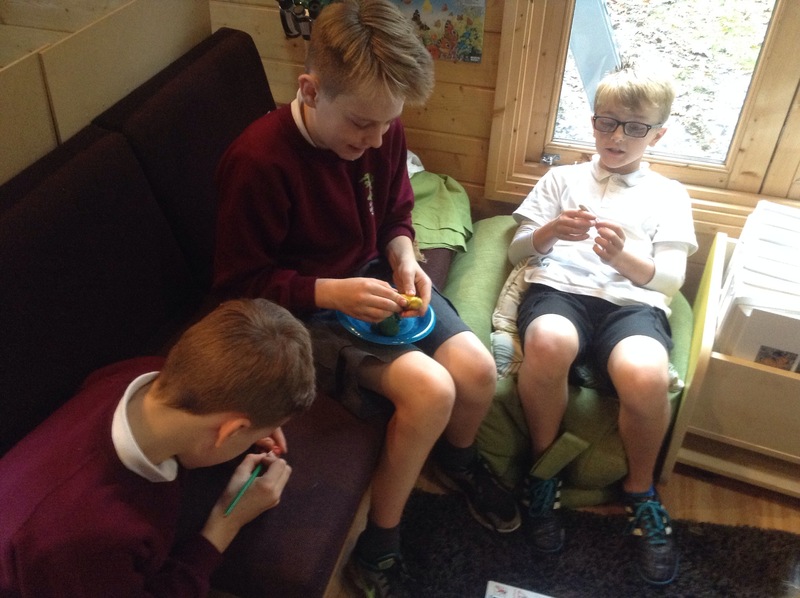 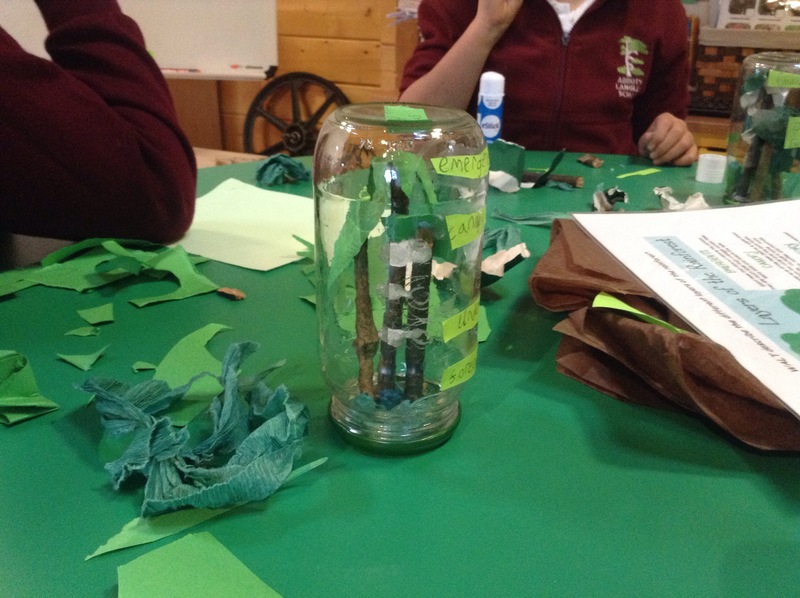 A group of children investigated how water shapes the land, some children made their rainforest layers in a jar, several children created the Amazon river basin on card and we continued to create our own poison arrow frogs out of tin cans. 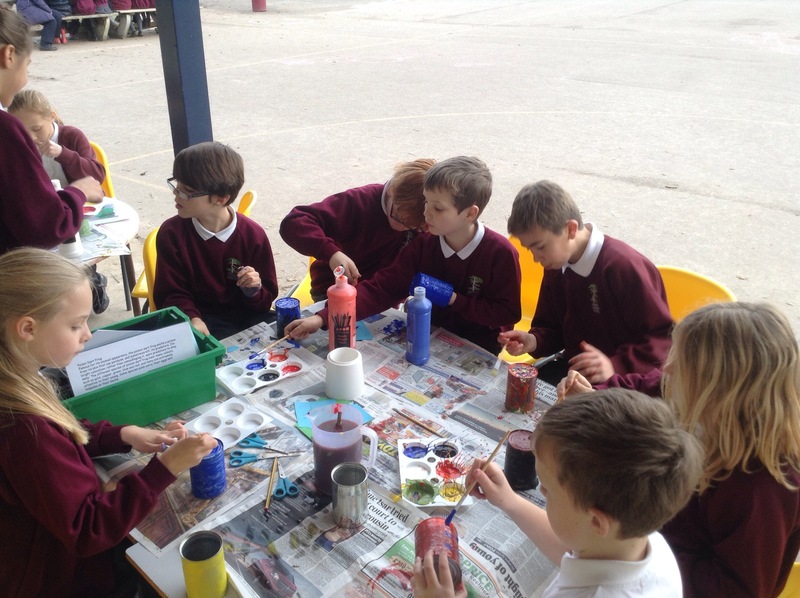 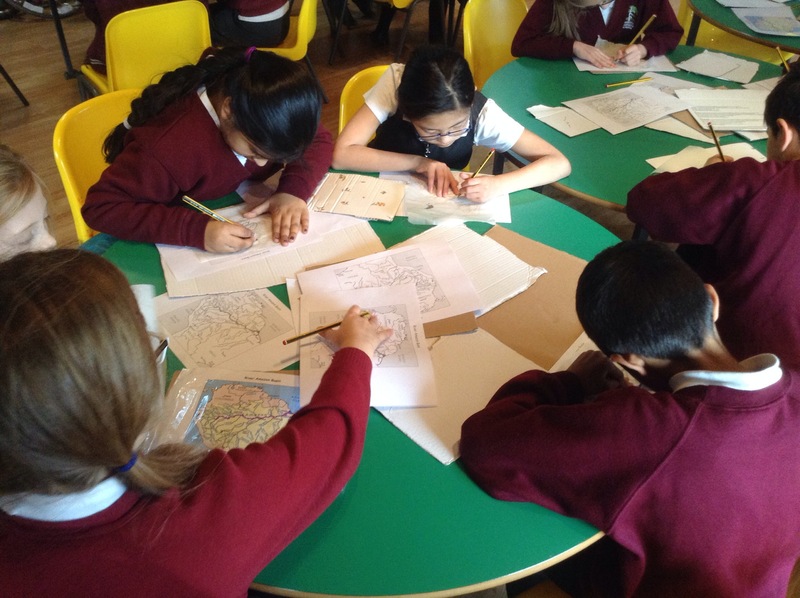 I have never seen the Year 6’s so busy! 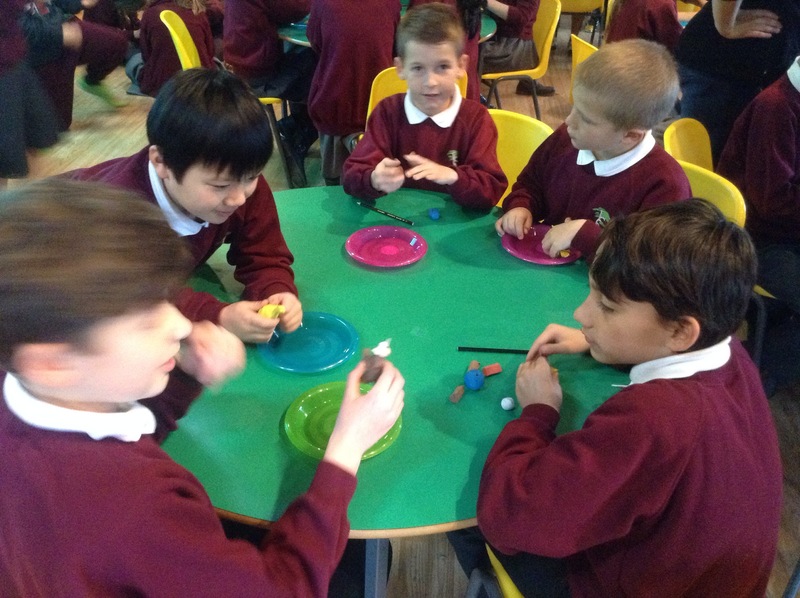 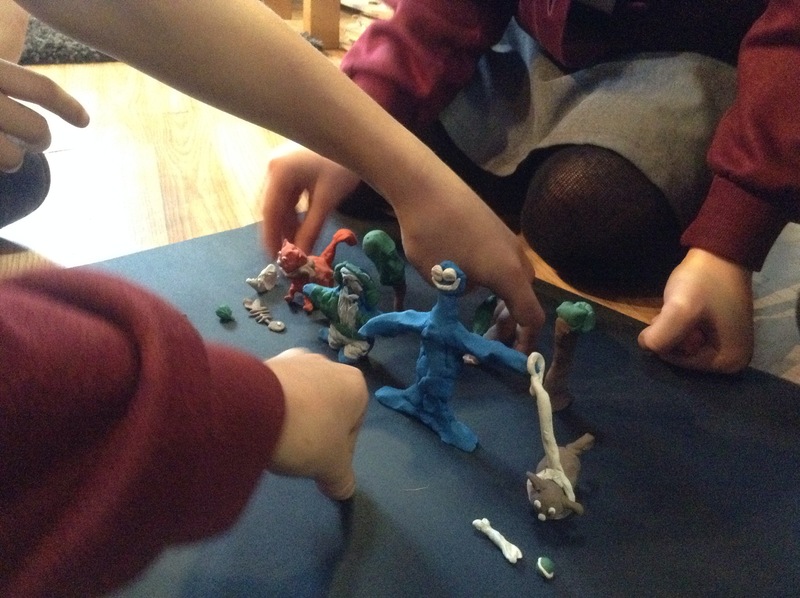 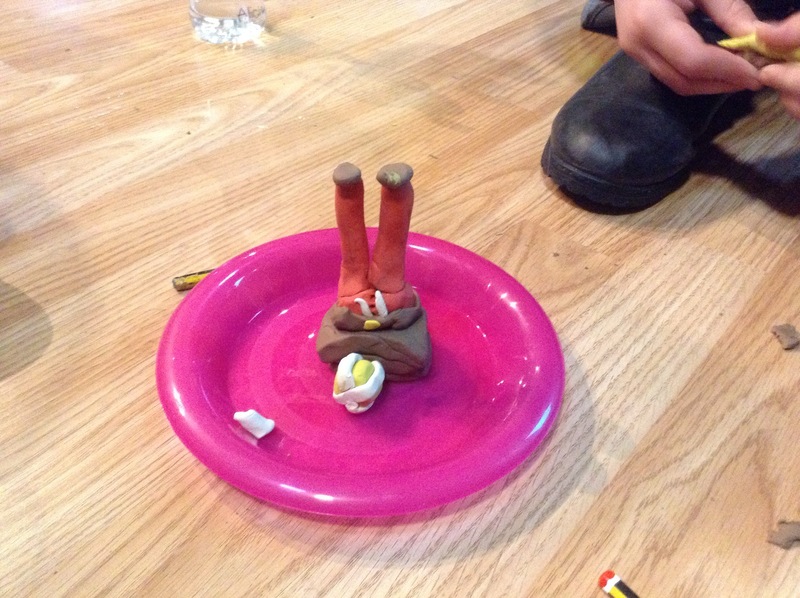 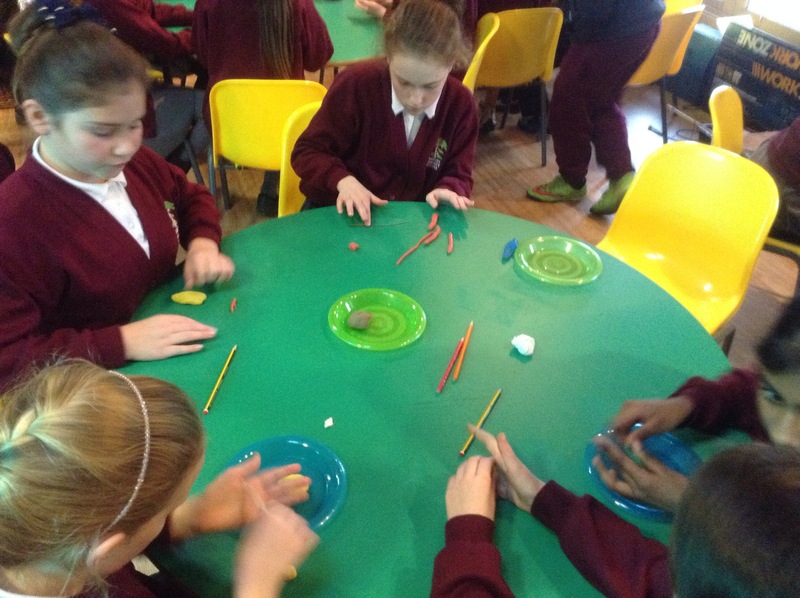 We gave them some plasticine to create their characters for their short animation today. 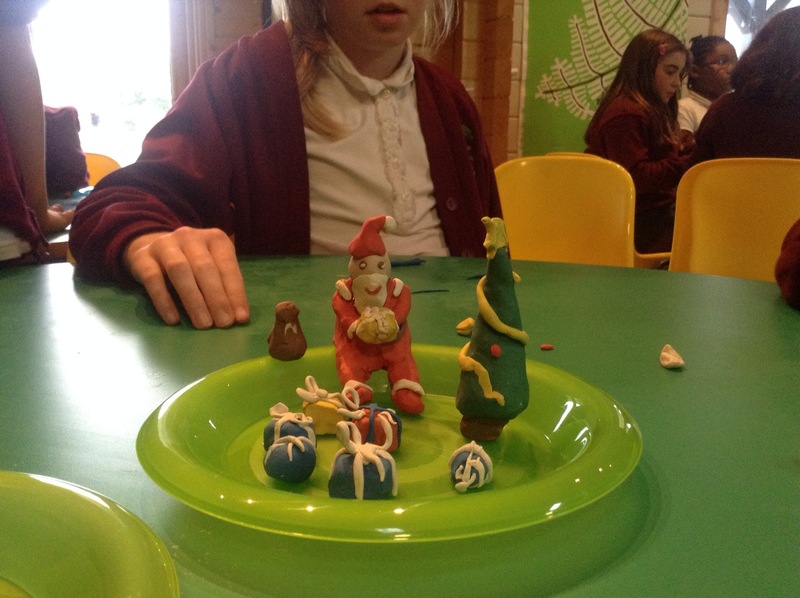 The detail was amazing and there was some fabulous teamwork taking place. 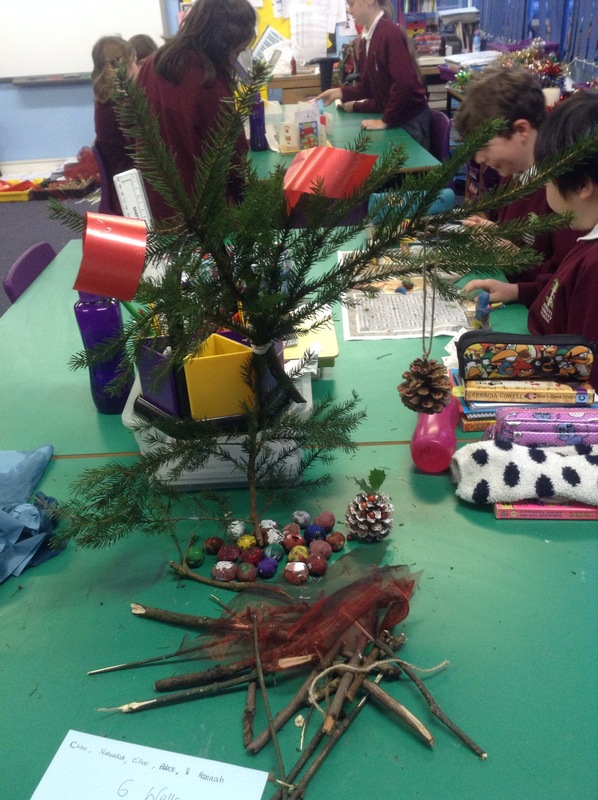 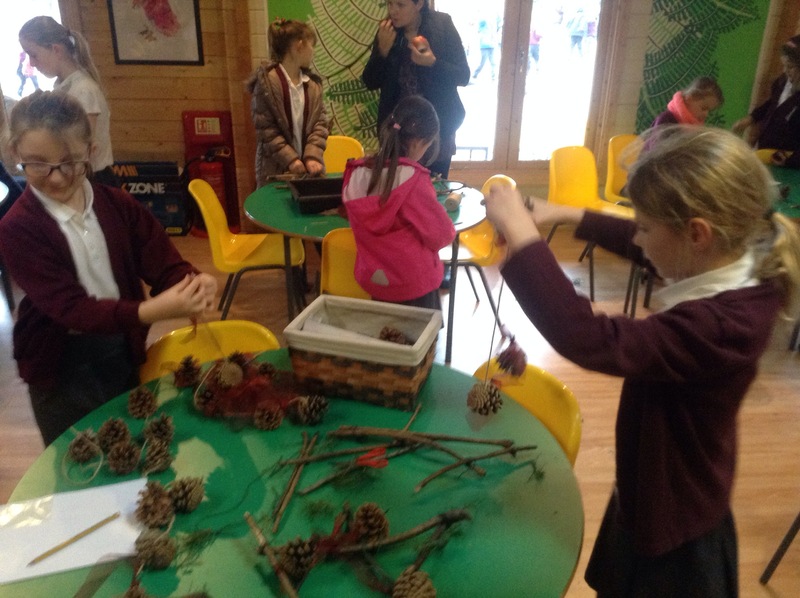 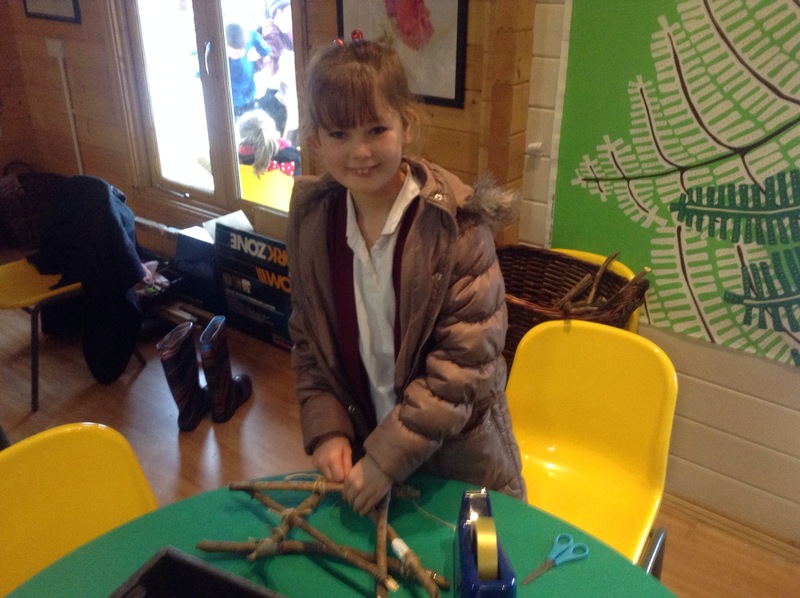 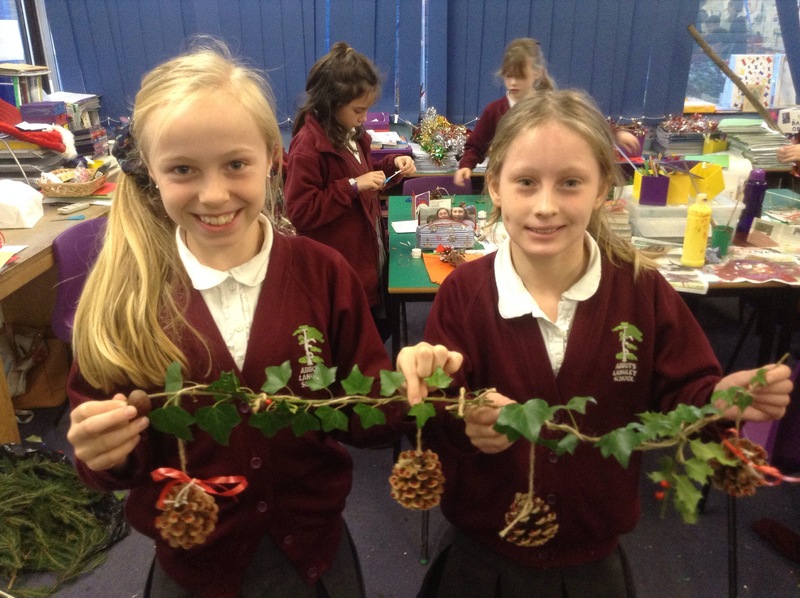 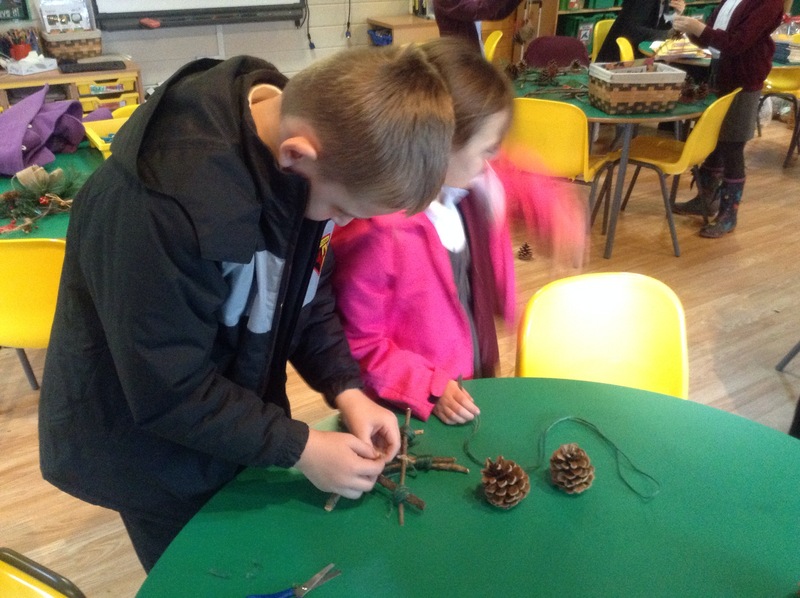 We began to make Christmas decorations today using twigs and pine cones. 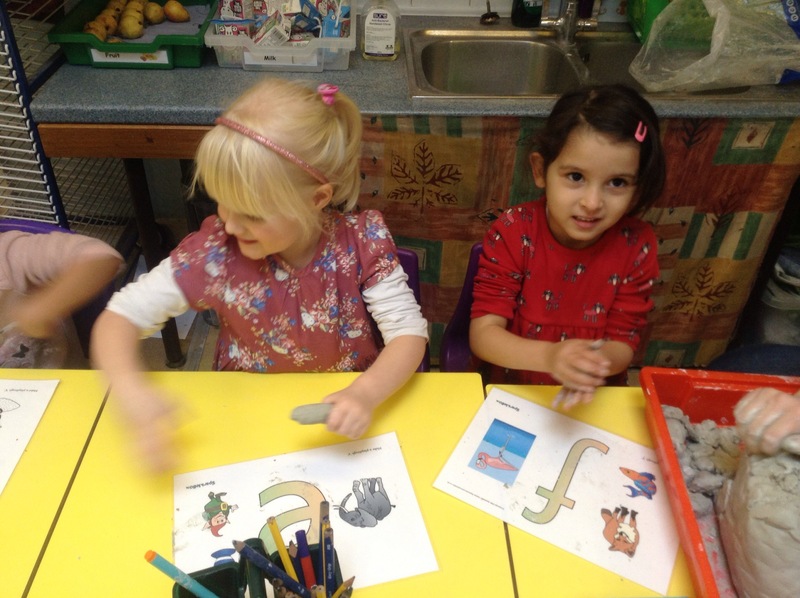 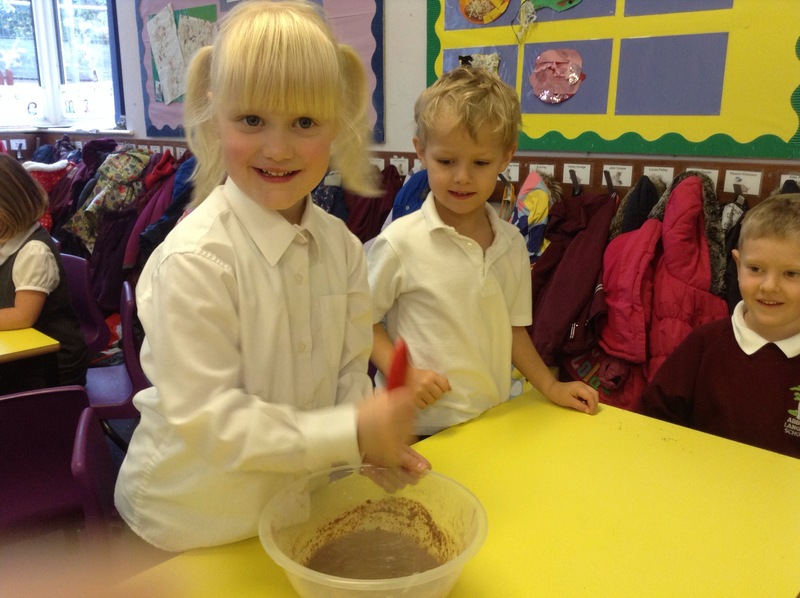 The children had fun learning about worms today. 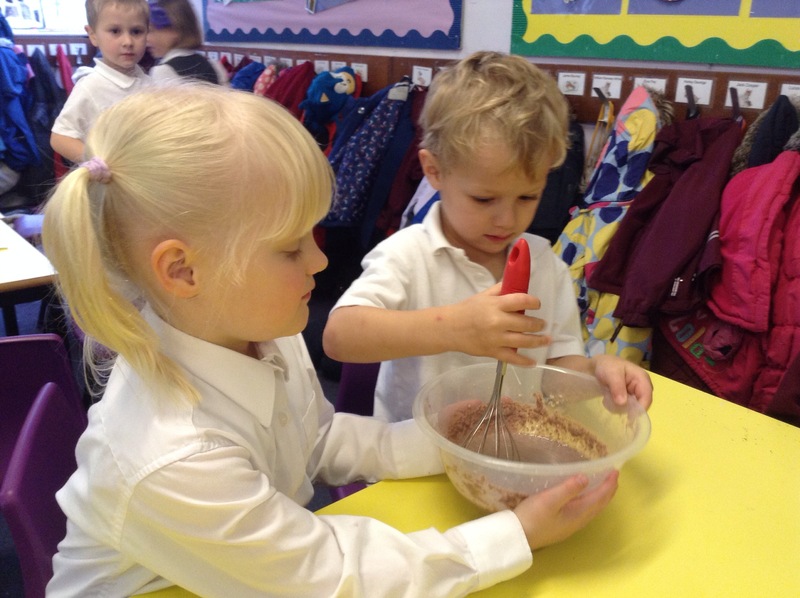 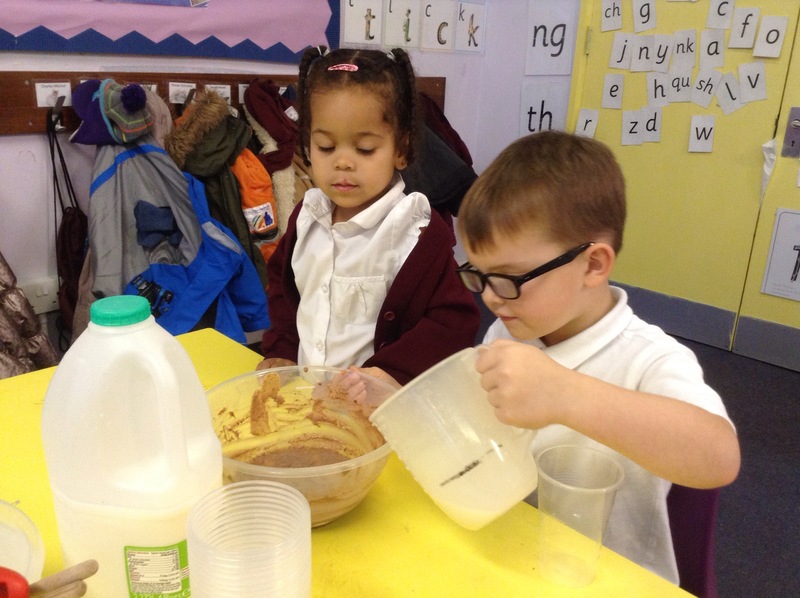 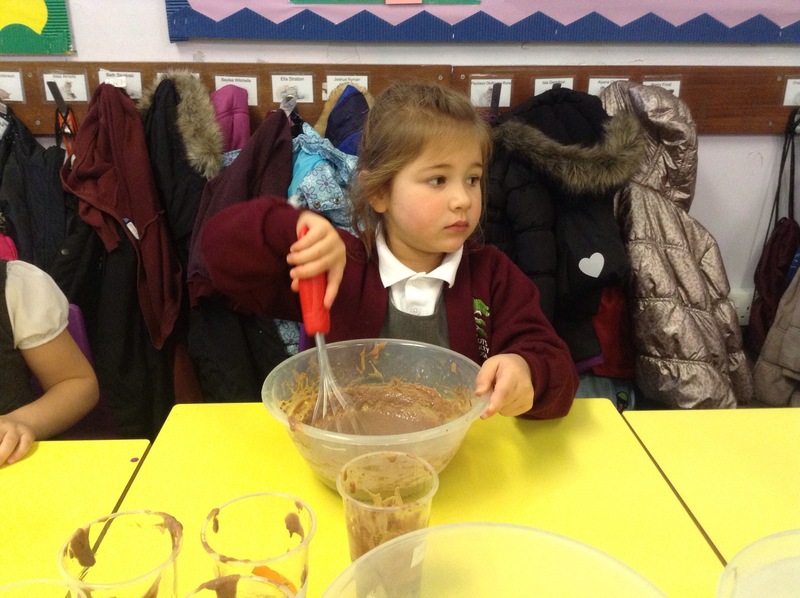 They particularly enjoyed making chocolate pudding with jelly worms. 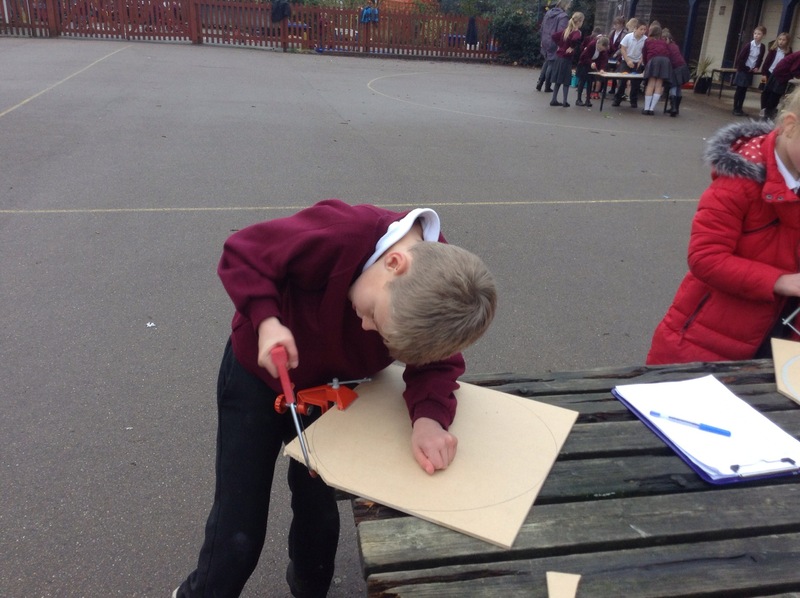 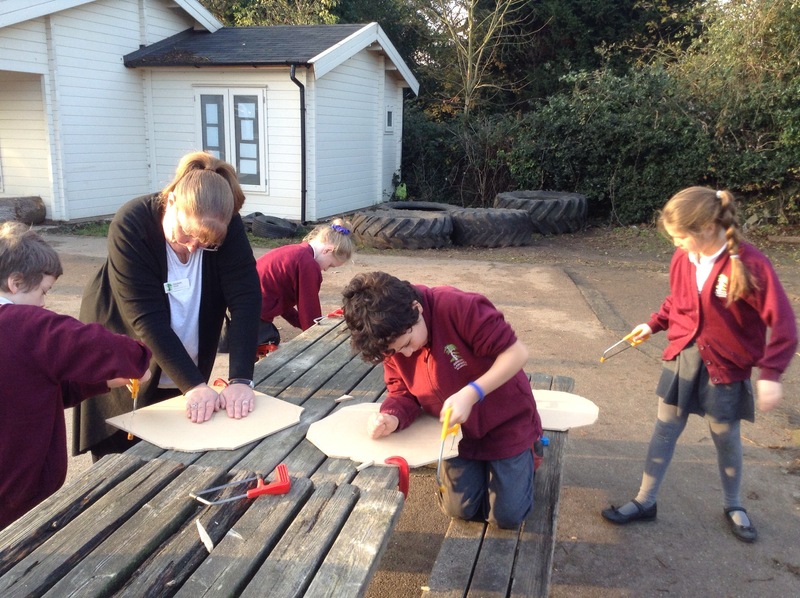 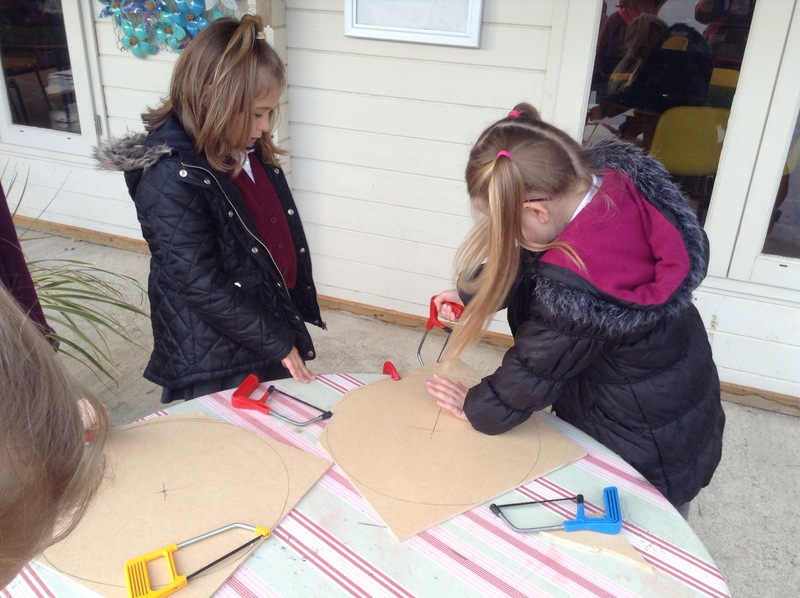 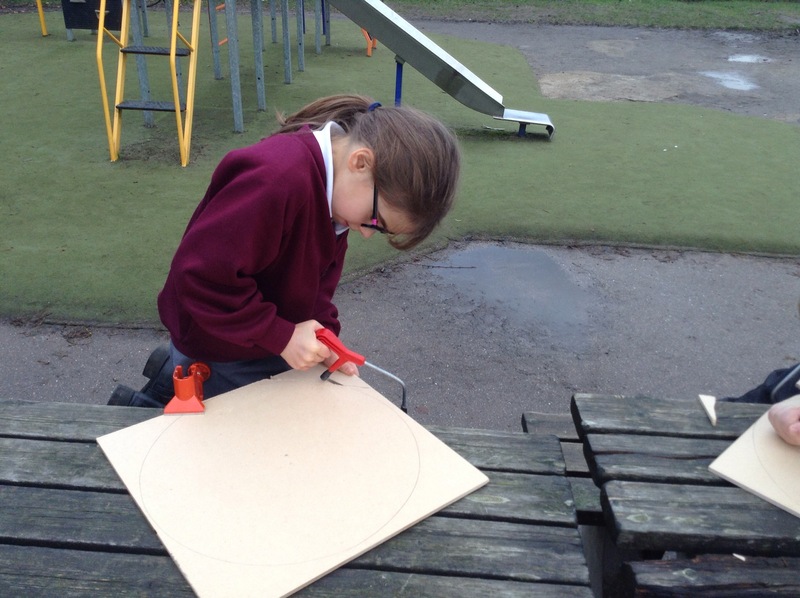 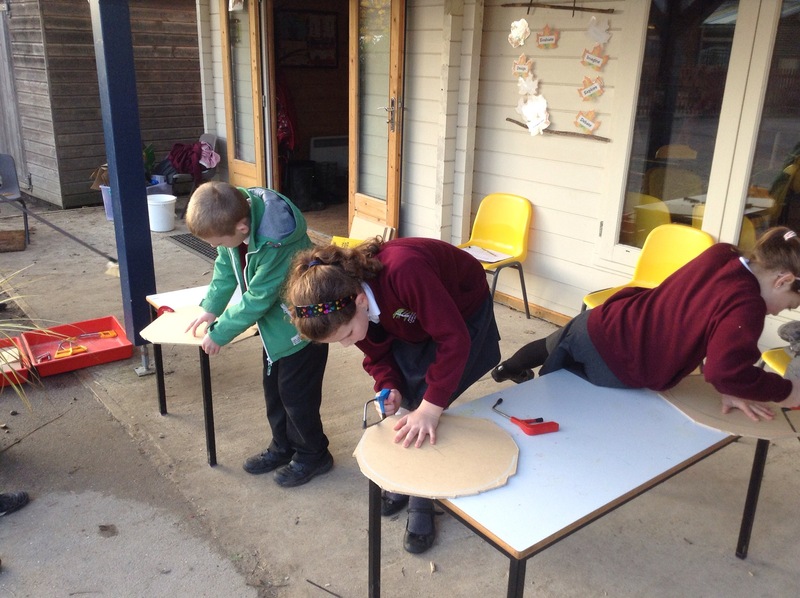 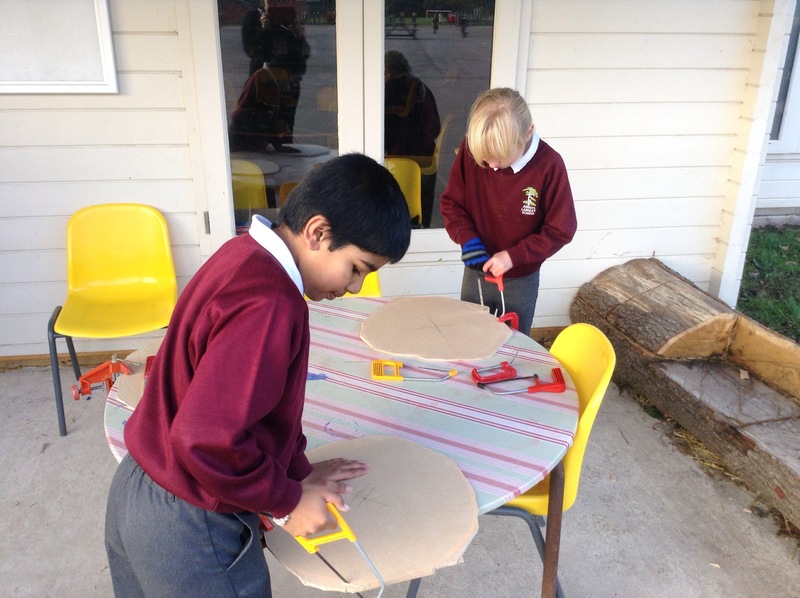 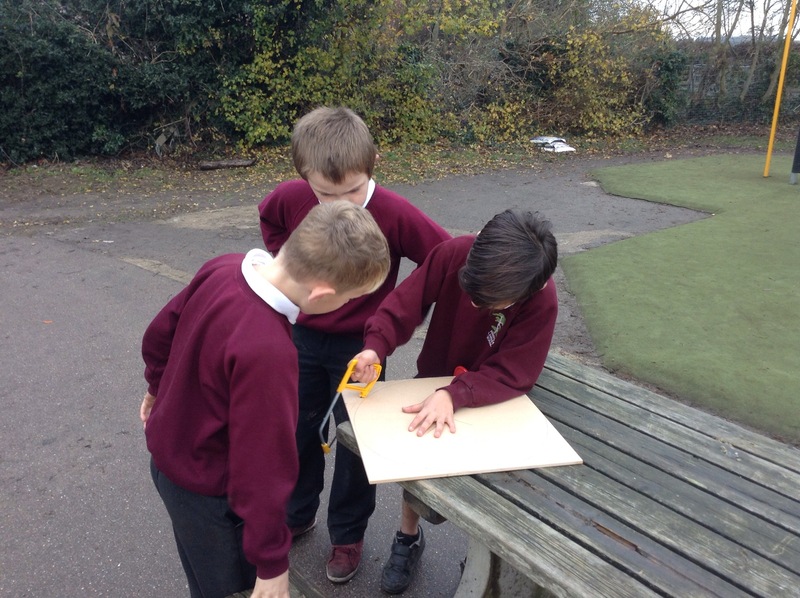 The children had the challenge to change a square piece of wood to a circular one using a saw.